“Contemporary” describes a catch-all style that can take on many different shapes. A Contemporary home can have the quirkiness of Postmodernism, but it will not express the same kind of irony or humor you find in a Postmodern house. Some Neoeclectic homes are called “Contemporaries,” but a true Contemporary does not use odd mixtures of historic styles the way a Neoeclectic house does. Some contemporary homes have flat roofs. Other contemporary homes have gabled roofs with cathedral ceilings and exposed beams. 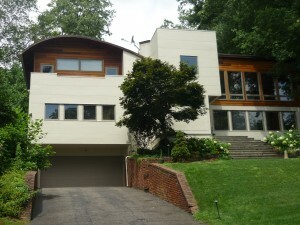 View Current Contemporary Homes For Sale!